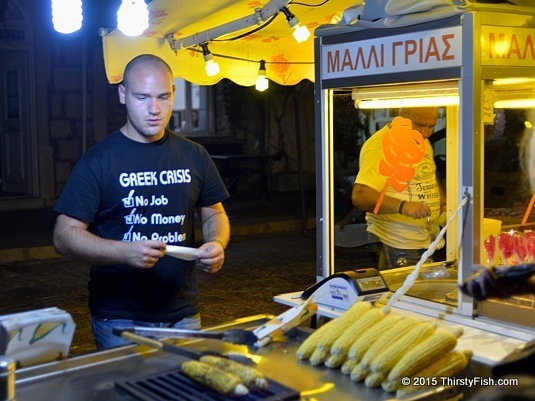 Greek Crisis: No Job. No Money. No Problem? Greece has all but lost its sovereignty. In some regions of Greece youth unemployment rate is at 70% with long term employment prospects dire throughout the country. The poor in Greece lost 86% of their income and the rich about 20%. The Greek Islands that depend on tourism are faring a little better. Most islanders only accept cash - and for a good reason; Although relaxed a little, capital controls remain in effect, including the limit on bank withdrawals. In a segment titled "We're All Greeks Now", Chris Hedges and Professor Leo Panitch discuss the Greek Financial Crisis and why it may be heading our way. "We're all Greeks now!" Photographed on the Island of Samos.